Gragg’s distinguished career spanned 45 years. The native of Linville, N.C., came to the region in 1965 as an assistant pro to Davis Love Jr. at Charlotte Country Club. He was named head golf professional at Cabarrus Country Club five years later and held that post for 26 years. His final career move came in 1996, when he accepted the director of golf position at Rocky River Golf Club, a new course under construction near Lowe’s Motor Speedway. Gragg oversaw the opening of Rocky River in 1997 and its eventual evolution into the Embassy Suites Golf Resort & Spa in 2007. Gragg was replaced at Rocky River by Micheal Hamrick, who’s been at the resort since March. However, Gragg will continue working part-time at the club, teaching lessons and hosting junior golf camps and beginners clinics. 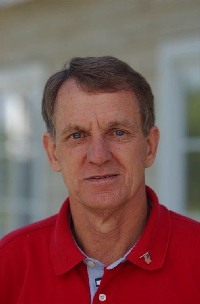 Gragg grew up in Avery County, caddying at the local course – Linville Golf Club. He graduated from Newland High School in Newland, N.C., and Draughn’s Business College in Greenville, S.C. While attending classes at Furman University in 1963, he opted for a career in golf and became an assistant pro at Green Valley Country Club in Greenville. He earned his Class A certification from the PGA of America in 1969. Retirement plans include playing golf, traveling and spending time with family. Gragg and his wife of 45 years, Cheryl, have a son, daughter, and two grandchildren.